It's October already!!! Can you believe it? I can't. Where did the time go? I am super excited about this month though for a number of reasons. Firstly, because I'm taking part in the Blogtober challenge this month with the goal of posting daily from the 1st through to 31st October. After having taken some time off over the summer, and then the technological struggles of late September (you can read about my September struggles in this post in case you missed it), it will be good to get back into the flow of things again. Secondly, because I'm taking part in the BYOBthon readathon this month. This will be my first time taking part in this particular readathon so I'm excited to see what it's like. I also can't wait to jump into reading my TBR for the challenges (If you missed my TBR for BYOBthon post you can find it here). 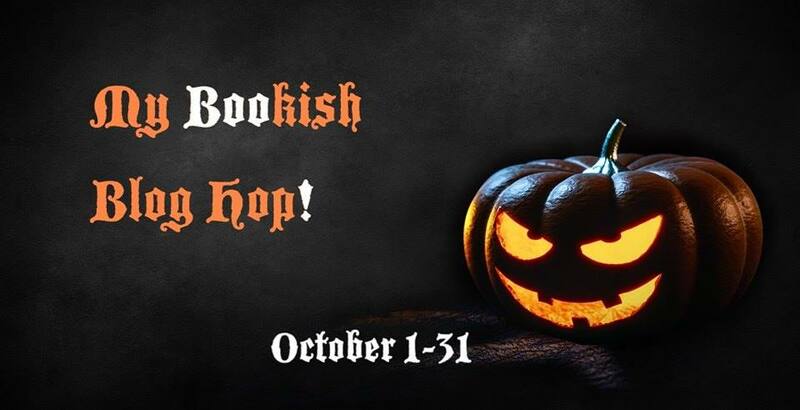 And last, but by no means least, is because during October I'll be taking part in another Bookish Blog Hop. The Bookish Blog Hops group now has a new logo and will also be organising daily support threads for book bloggers too. Join our Facebook group at https://www.facebook.com/groups/127759384464964/ if you haven't already to be part of the fun. 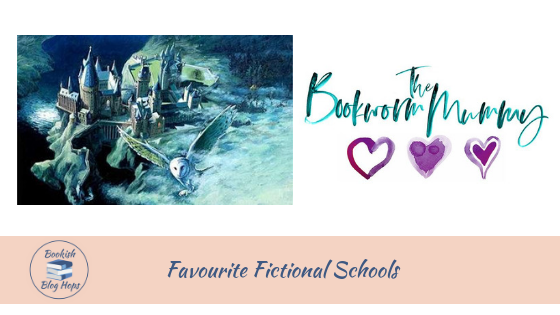 And now on to the focus of today's post: The first stop on the BOOkish Blog Hop this month where we're sharing about our favourite fictional schools. Whilst Hogwarts is one of the first fictional schools to come to mind (and one I would definitely like to visit), my first choice would be Camp Half Blood. 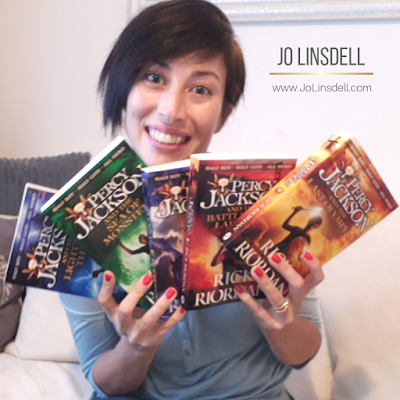 I'm just a tad obsessed with Percy Jackson at the moment as I'm working my way through reading the series. Camp Half Blood sounds amazing. Greek Gods, mystical creatures, magic, and those training grounds... and all set in that forest with it's own beach and.... wow! I'd love to learn survival skills with the other campers. Just seeing them all in action would be amazing though. 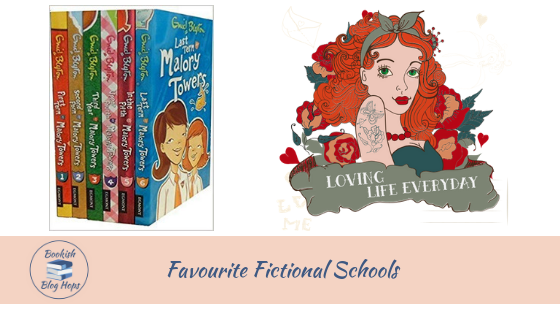 One of my favourite fictional schools is Malory Towers from the pen of Enid Blyton. The Malory Towers books follow Darrell Rivers throughout her five years at Secondary school.Malory Towers a castle-like clifftop boarding school in Cornwall. The school is in the form of a square with a courtyard in the middle and a four-storey tower at each corner, with the sides being 3 storeys high. The school also has also has a stables, tennis courts, sports pitches and an outside, natural swimming pool. When I was a child I longed to be able to go to a school like Malory Towers. The closest I got was a secondary school built around a courtyard and lots of Cornish holidays. My favourite fictional school has got to be Hogwarts School of Witchcraft and Wizardry! Attending this school would be an incredible experience thanks to the beautiful castle and grounds alone! Add to that being able to spend your school days brewing potions, learning charms and maybe getting lost on a moving staircase? And have you seen the size of that library..? I’d happily live out my days tucked into a cozy corner with a book from the restricted section. I’m still upset I never did get my acceptance letter by the way… Curse you, He-Who-Must-Not-Be-Named! 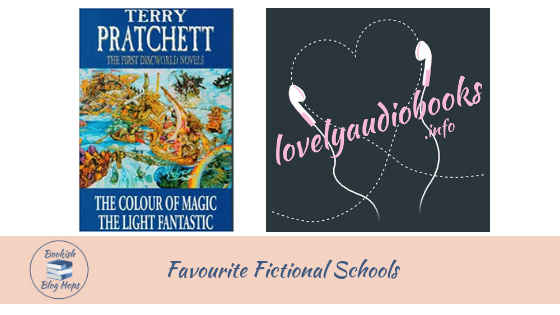 What's your favourite fictional school? I loved Enid Blyton as a kid too, and often went to Cornwall on holiday. I can't remember ever reading the Malory Towers series though. Sounds like I missed out. I've really been wanting to read the Percy Jackson books. I have no idea why I haven't gotten around to it. They are amazing! I'm so loving this series. I am definitely in the Percy Jackson fandom. I highly recommend reading them. I have not read the Percy Jackson books but I am such a huge Harry Potter fan that I think Hogwarts will always be my dream school, and Ilvermory sounds good too. I haven't read the Percy Jackson series either! I don't know why - I love Greek mythology! I don't usually read YA, though I will try. I have only seen the Percy Jackson movie with my daughter. I enjoyed both Percy Jackson films too and wish they'd made more. The books are so much better though. It was a tougher question to answer than I first thought it would be. There's lots of really cool fictional schools to choose from. I knew a lot of people would pick Hogwarts as their favourite fictional school. It's an obvious choice. I almost did but camp half blood has me hooked at the moment. I'm in full on Percy Jackson fangirl mode. Have you done the Pottermore hat sorting? I keep meaning to do it to see which house they put me in. Hogwarts all the way! What else can compete with magic and little adult supervision? I love both Hogwarts and Camp Half Blood. Picking between the two fictional schools was hard. Hogwarts is the only school that comes to my mind! I knew Hogwarts would be a popular choice. Have to agree with everyone else. Hogwarts. Lots of people picked Hogwarts. I love that others picked a variety of fictional schools though. Some I didn't know before this post. 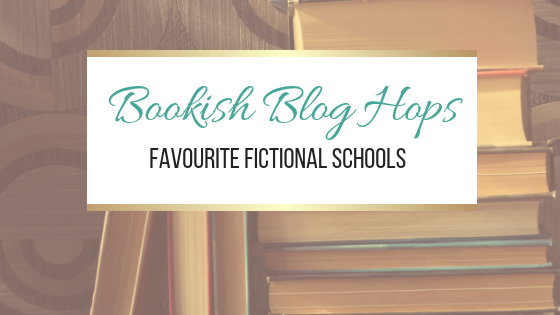 This post also got me thinking about some of the fictional schools I used to love when I was younger too. I was a huge fan of the Sweet Valley High series for example. 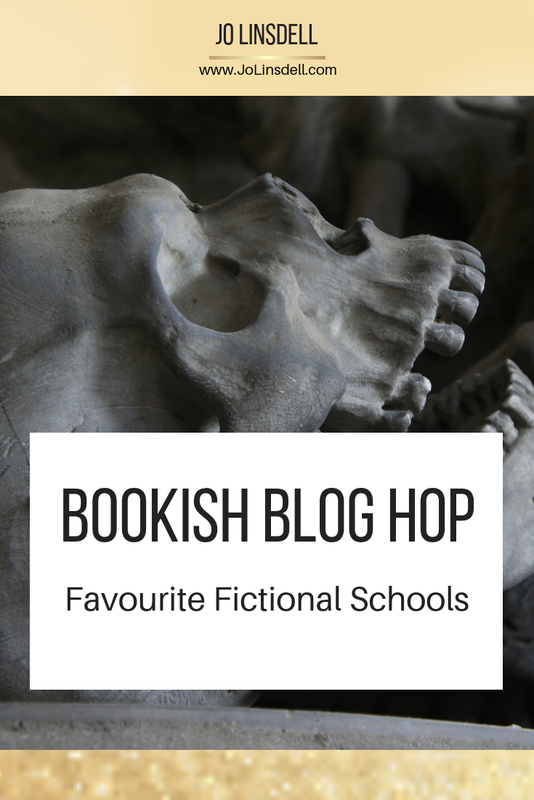 There's actually a lot of really cool fictional schools out there. I agree, The Percy Jackson series is great. I can’t even imagine posting blog posts daily, good luck with blogtober. I’m looking forward to those posts. Blogtober is going to be a challenge but I'm confident I can do it. I'll be posting on my other blog too - www.writersandauthors.info - so the big challenge will be to see if I can manage it twice in the one month. Love Hogwarts. Have not read Percy Jackson yet. Percy Jackson is so good. I highly recommend the series. It has to be Hogwarts for me too! For me, It's Ms. Peregrine's school for Peculiar Children. Chey read it in 7th grade. At first the book cover made it seem like it was a gothic/steampunk ghost story. As a parent, i insisted on censoring it. Read it in a night. I love that book! I still need to read that one. It's been on my list for ages. I've heard so many good things about it.